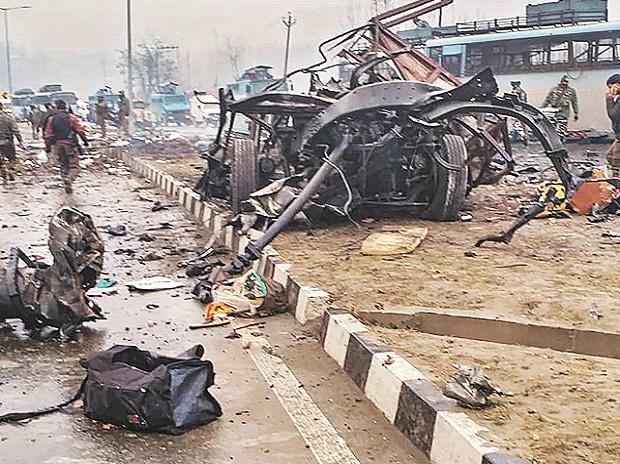 A Maruti Eeco minivan was used in the Pulwama terror attack and it was bought by a Jaish-e-Mohammed operative just 10 days before the February 14 strike that claimed the lives of 40 CRPF personnel, the National Investigation Agency (NIA) said Monday. The JeM operative, identified as Sajjad Bhat, a resident of Bijbehara in south Kashmir, has since been on the run and is believed to have become an active militant now, an NIA spokesman said. The spokesman termed this as a "significant breakthrough" in the investigation into the terror attack. Piecing together remnants of the vehicle recovered from the scene of the blast, the NIA investigators, with the support of forensic and automobile experts, have been able to identify the vehicle as a Maruti Eeco having chassis number MA3ERLF1SOO183735 and engine number G12BN164140, the spokesman said. The vehicle was sold to Mohammed Jaleel Ahmed Haqani, a resident of Heaven Colony in Anantnag in 2011, and subsequently it changed hands seven times and finally reached Sajjad Bhat, a student of Siraj-ul-Uloom, Shopian. The vehicle was purchased by Sajjad Bhat on February 4, the spokesman said. Raids were conducted by a team of NIA and police at his house on Saturday but Sajjad was not present. He has reportedly joined Jaish-e-Mohammed and his photograph also appeared on social media where he is seen holding weapons. The NIA, a central agency established by the government to combat terror, took over the probe into the Pulwama attack from the Jammu and Kashmir Police on February 20 and re-registered the case. NIA Director General Y C Modi, accompanied by senior officers of the agency, has visited the site of the attack, 33 km from Srinagar, where he was briefed by the police and the Central Reserve Police Force (CRPF). The state police had registered a case at the Awantipora police station on February 14 after a suicide bomber rammed his explosive-laden vehicle into a CRPF bus, which was part of a 78-vehicle convoy carrying over 2,500 personnel from Jammu to Srinagar. The NIA has already gathered crucial material from the blast site in Lethpora in Pulwama district of south Kashmir and has been involved in the questioning of around a dozen people detained by the police following the blast, officials said. The NIA is probing planning and execution of the terror attack, the second such strike in three decades of militancy in the state. In 2000, a 17-year-old Kashmiri boy had blown himself outside the Srinagar-based army cantonment, killing two Army men.